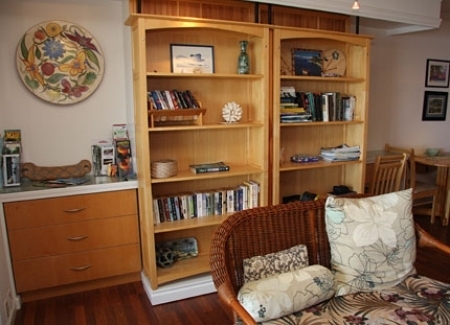 Hawaii Oceanfront one bedroom vacation rental condo Wavecrest unit A-303 -- \"Your Vacation Paradise\", is one of the few top floor units available in the building closest to the Pacific Ocean at the unique and treasured Wavecrest Resort on Molokai\'s tropical East end. Take a stroll back in time, to the Hawaii everyone first fell in love with. Now, sit back and relax; and capture the everlasting three-island view. Sip a cool drink and escape into a good book borrowed from the poolside library. 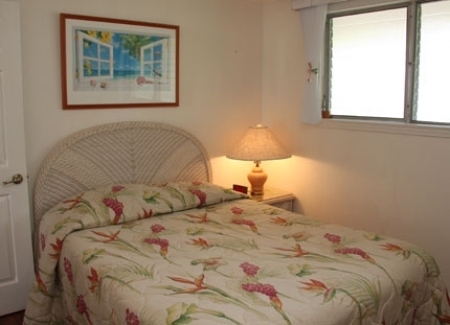 Enjoy this beachfront getaway in a garden setting with manicured lawns, tropical flowers, and swaying palms. Luxury amongst the beautiful tropical grounds. 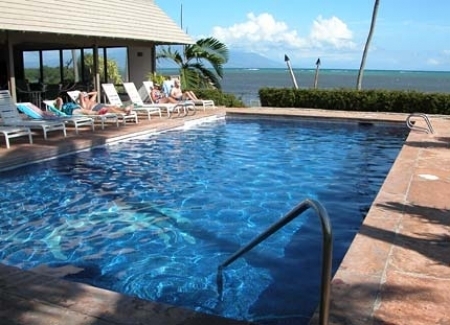 Enjoy the elegant tiled pool and poolside cabana-clubhouse with gas barbecues. 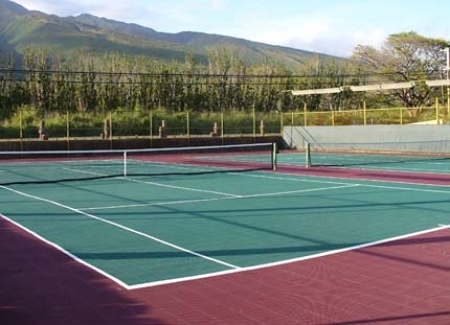 Shuffle board and tennis courts are on site and equipment is available. 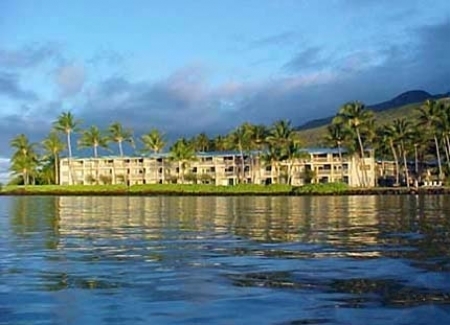 This is the ONLY resort on the tropical East end of Molokai. 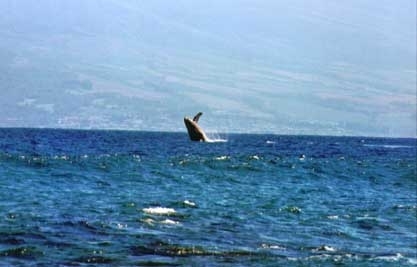 The climate is temperate year around, with very few days or nights above or below 70 to 80 degrees. 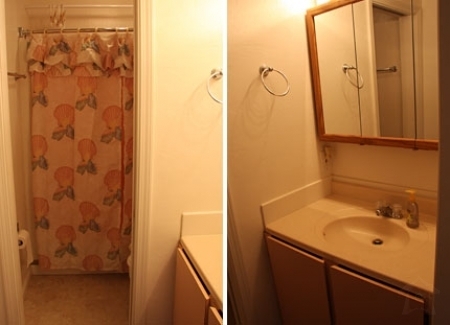 This unit is recently upgraded with new appliances, doors, trim, crown molding, cherry laminate flooring, furniture, lighting, fans and plumbing fixtures. The view across the Kalohi and Pailolo Channels to the islands of Mau\'i, Kahoolawe, & Lana\'i is both breath-taking and soothing. 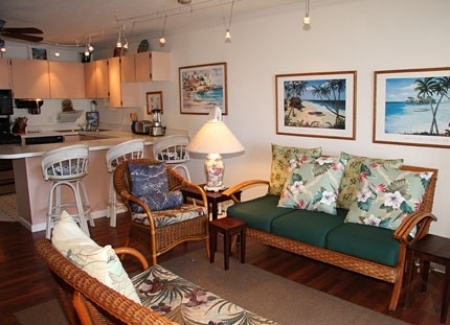 When looking at Mau\'i, you can see the coastline from Napili, Kahana, Ka\'anapali, and Lahaina. 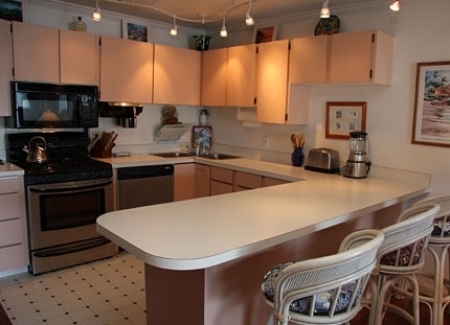 Add 13.42% Hawaii vacation rental tax until June 30, 2011. Add $75 cleaning fee if less than 14 night rental. 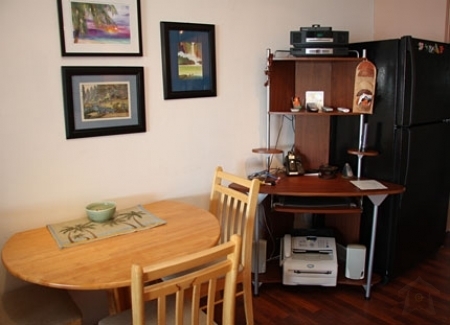 Reservation for 14 nights or more - we pay cleaning fee.